One of the first unwritten rules I learned as a dad is that my wife and I are stronger together. With three kids in our busy household, the "divide and conquer" strategy works, and our kids instinctively know it. "We need to stick together," I have often told my wife, "or the kids will eat us alive." She often smiles. I don't dislike our kids. In fact, I love them. How then did they become my imaginary enemy? The truth is they are not and never have been. When I choose to focus on the things we share and have in common, I am convinced that there is nothing I care about more. "Where there is agreement, there is power." Today more than ever, we should seek not only to be understood but to understand others. To accomplish this, we need to speak a common language. For thousands of years, philosophers, teachers, psychologists, and behavioral experts have identified four characteristics common to all people: D or Dominance, I or Influence, S or Steadiness, and C or Compliance. Today DISC system has become a universally recognized language of behavior. 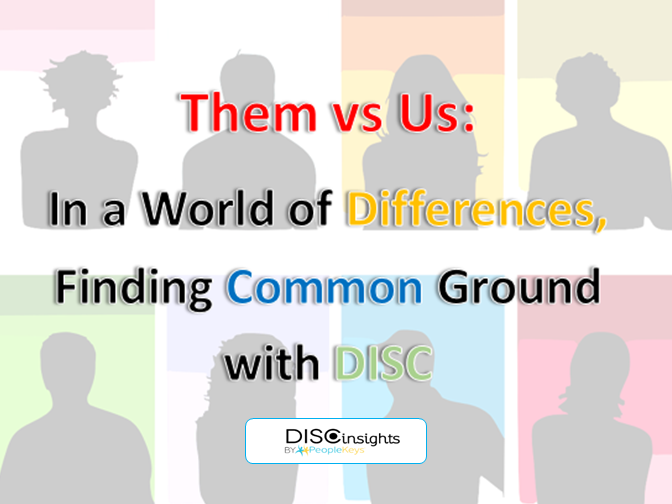 DISC can be a great unifier in times of great division, not only in current political times but also at home or in the workplace. Utilized as a tool for self-growth, DISC can be a springboard for two different people to find common ground. The work begins with an easy-to-take 7-minute assessment. After that, it's all in the report. It only takes a minute to see where two people can find commonality! Through DISC, we have a starting point to understand ourselves first, those around us next, and eventually the world! If everyone took a DISC assessment, we could begin to build bridges, not walls. Ahem, but at least we can dream, right? 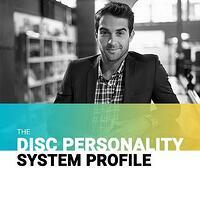 DISC is the most popular and seasoned methodology for understanding Personality Styles and observable behavior. DISC offers insight into the 4 personality dimensions of Dominance‚ Influence, Steadiness, and Compliance and into the energy a person devotes to each of the dimensions. It's that simple. They seek control, gravitate to leadership roles, but could make poor listeners. They eschew inefficiency, excel at decisiveness, and others readily follow them. They like recognition, excel at persuasion, and prefer spontaneity over routines. Details, not so much. With DISC we begin to tap the wealth of human potential around us. What were once "personality clashes" now become cooperative efforts based on understanding the perspective, strengths, and limitations of others. As we understand differences through DISC personality styles, we invite you to mend fences with anyone whom you may differ.